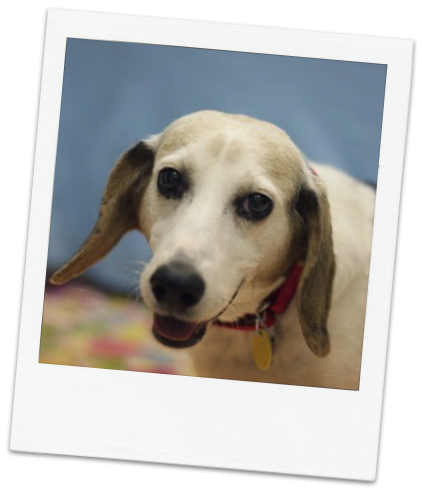 Meet sweet 8-year-old Gretta who is ready and waiting for her forever home. She’s a mellow, gentle girl in search of a quiet home where she can spend her golden years. She is very casual around most other dogs and gentle around cats as well. She likes to spend her afternoons relaxing, but she also enjoys a nice stroll around the block every now and then. After all, she’s still a beagle, and her sniffer is far from being retired! 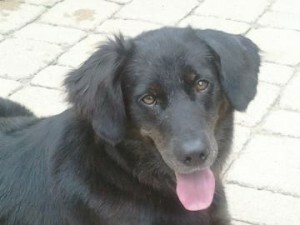 Find Gretta as well as many other incredible pups for adoption at Naperville Area Humane Society. This entry was posted in Naperville News and tagged adopt-a-pet, adoption, dog, naperville, Naperville Area Humane Society, pets on January 30, 2014 by Laura Rumage. Out-U-Go! Central’s General Manager (and former Oak Park Top Dog), Sara Lorenzo, will be representing Chicago Canine Rescue on WGN’s Adopt-A-Pet segment at approximately 11:10 AM Central Time on Friday, August 19. 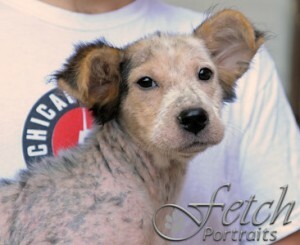 She will be highlighting Flora & Kitty, two super-cute pups that are looking for forever homes. Flora would love a forever home! Flora is quite the little social butterfly, and absolutely loves meeting new people. She is a 3-month old Australian Cattle Dog/Collie mix. This outgoing little lady has a lick and a tail wag for everyone, and also loves to run and play. Flora is being treated for a skin condition and is already on the road to recovery. She would make an excellent addition to any family. Kitty is an approximately 3 year old female border collie mix who came all the way from Chatsworth, Georgia. Like any Southern belle, Kitty is polite and demure, and has very nice manners. She is a bit timid sometimes, and is very sweet — she will crawl into your lap for some pats and scratches, and gives the most gentle little licks. Kitty is living in a foster home with her lab sister, and beagle mix brother. She gets along great with other dogs and loves to meet new people. Kitty is also currently being treated for heartworm disease. While it is extremely rare for there to be any lasting effects, she will need to be kept calm and quiet during her recovery. Sara is a volunteer member of the Board of Directors of Chicago Canine Rescue, a local animal shelter that helps find homes for the most vulnerable in the city – the sick, injured and special needs dogs. Set your DVR’s (or don’t……she is really, really nervous about being on TV!). 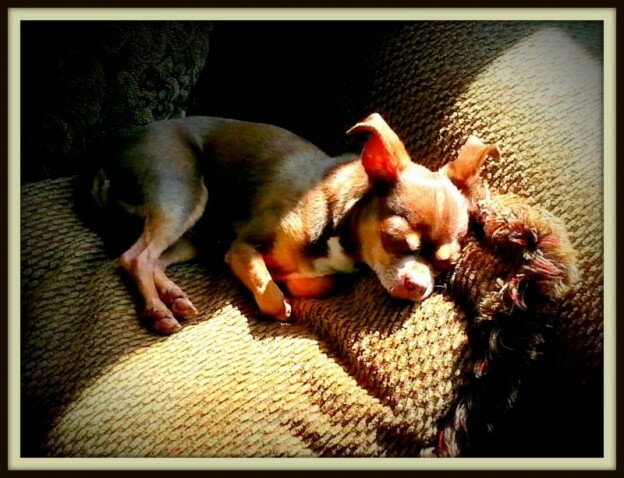 This entry was posted in Help the Homeless and tagged adopt-a-pet, homeless dogs on August 18, 2011 by admin.